Vintage German made A.R. 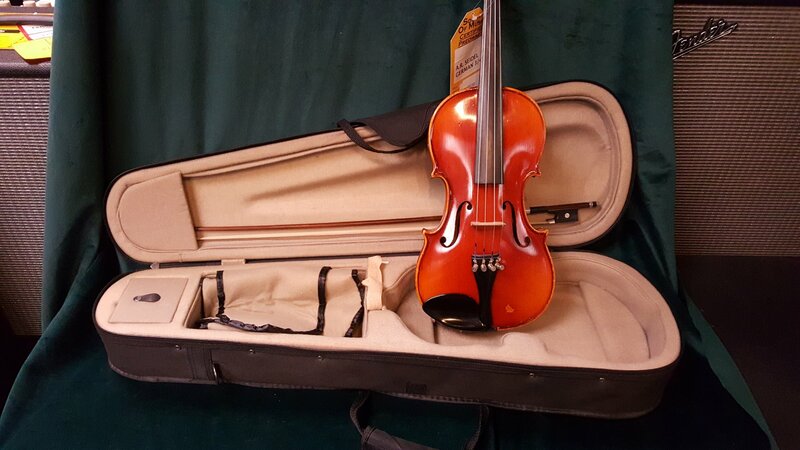 Seidel 3/ size violin outfit with bow and case. Features Spruce top, figured Maple back and sides. Shows wear appropriate for a vintage instrument.